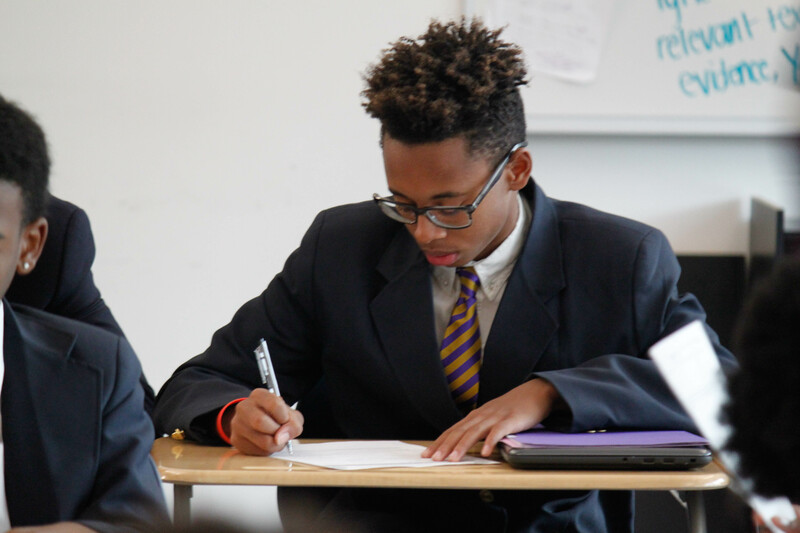 This fall, Isaiah Williams started his freshman year at the prestigious Ron Brown Preparatory High School, and he also took his very first In-School Playwriting Program with YPT! Isaiah discovered that plays can also explore our dreams and goals. In his play, currently untitled, Isaiah writes a cautionary tale about quick success in the music industry. In the story, aspiring music artist Meech meets DJ Drama, who promises him fame and money, but Meech soon finds out that fame and money do not come easily, and he learns a valuable lesson with the support of his friend, Kenny. Isaiah is actually a very talented singer and beat boxer. He performed in his middle school talent show and intends on performing at Ron Brown for future social events and contests while working to push through his shyness. He also plays for the Ron Brown Monarchs football and baseball team when he’s not working on music. We wish Isaiah a great first year at Ron Brown, and can’t wait to see what he does with music and writing!